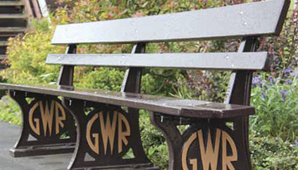 Our Rail Division supplies high quality access metalwork/secondary steelwork, bespoke and heritage replica metalwork the Rail Industry. This allows us to meet the wide engineering requirements of the industry. Our involvement in the Rail Industry dates back to the early 1930’s. Our experience gained over this time has given us an enviable reputation. We're committed to industry standards, specifications and design procedures. This assures our customers that our products will meet their project requirements, timescales and budgets. We design, supply and install a whole range of heritage metalwork. Which are ideal for the heritage railways sector. Within these sectors, we create and install specialist replication and restoration products. This includes turntables, canopies, station furniture and fencing. Historic metalwork offers a beautiful finish to your railway station. We have extensive expertise in this field. With major renewals, reinstatement and restorations we are ideally placed to take advantage of the investment in the rail infrastructure. With this in mind we have invested in the best of modern technology, we partner this with the most diverse of traditional trades. This matches our ability to provide the answer to your metalwork requirements. We can offer value added engineering where required. Steelway have RISQS accreditation, we are CE certified to execution class 3 and operate to BSEN ISO9001, 14001 & OHSAS 18001 standards. 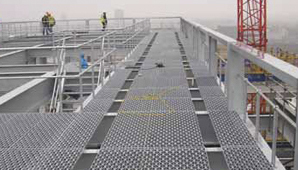 Steelway offer a full in house installation service our installations operatives are fully equipped and PTS trained we and our metalwork is installed to the highest of standards. To discuss your project requirements, or to arrange a site visit contact us today.